This is our first attempt at a live album. 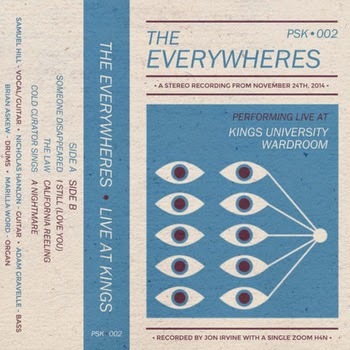 It was recorded unbeknownst to us by Jon Irvine on November 24th, 2014 at the Kings University Wardroom. It was a Monday night and we shared the stage with Halifax greats Walrus. Some of the songs on this cassette are old and some new and unreleased. It was a fun night and we are now glad to share it with you.